Lattiss offers free, easy-to-use ONLINE APPOINTMENT SCHEDULING designed for small businesses. Not working 24x7? 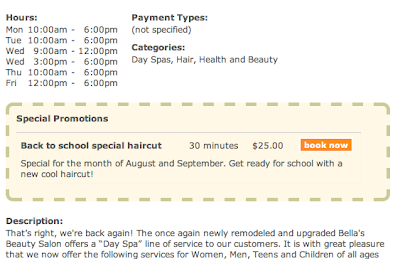 Make your appointment booking available 24x7!!! Save time, find more customers, get more business! Want more people to know your special service? Promote it with one-click "Promotional Item" in your service list! In your Services list, click "Promotional Item" and your special service will get VIP treatment and moved to the top of your storefront/scheduler. No one will miss it! Different staff service duration or price? You can now customize! 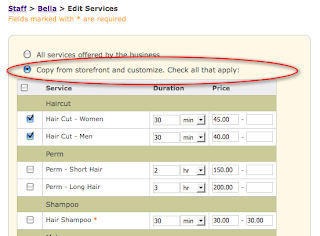 We have added more flexibility to allow you to customize the staff's service duration and price. With this, you can tailor the staff's service menu to your needs. Thank you for your feedback and feature suggestions. Keep them coming! We are happy to announce that we now support businesses in UK, Singapore and Hong Kong! Thank you for your feedback and referrals, and welcome UK, Singapore and HK businesses! Welcome to the Lattiss blog! Here we'll share with you news, tips, FAQ's and upcoming features about the Lattiss online scheduling and business management tools. Don't find what you are looking for? Feel free to contact us!